My Kladblog project is beginning to work. In fact, I enjoy writing it so much that I am seriously thinking about ending this Soundtrack. I want to do what I like most and right now there is no doubt about what that is at this moment. 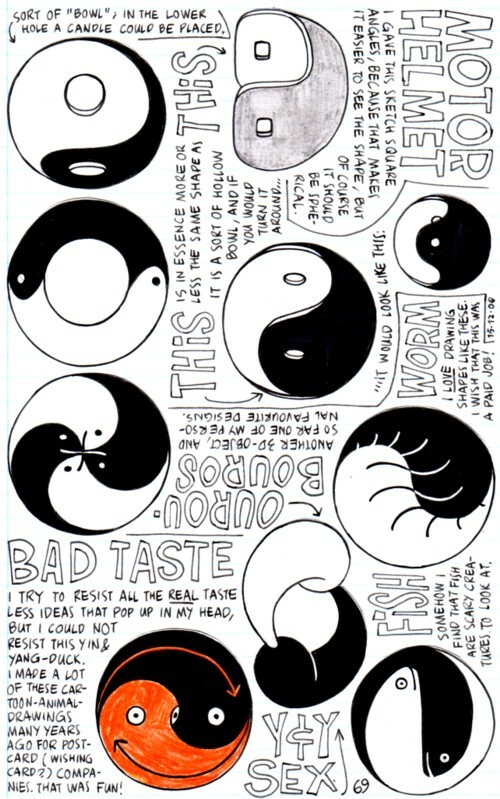 I just had another Yin&Yang attack. 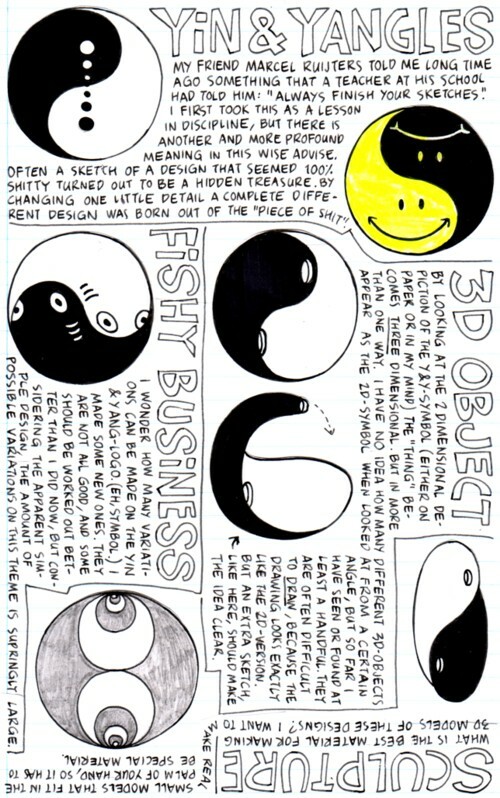 It was caused by John, who send me a link to this site, where the origin of the symbol is explained. 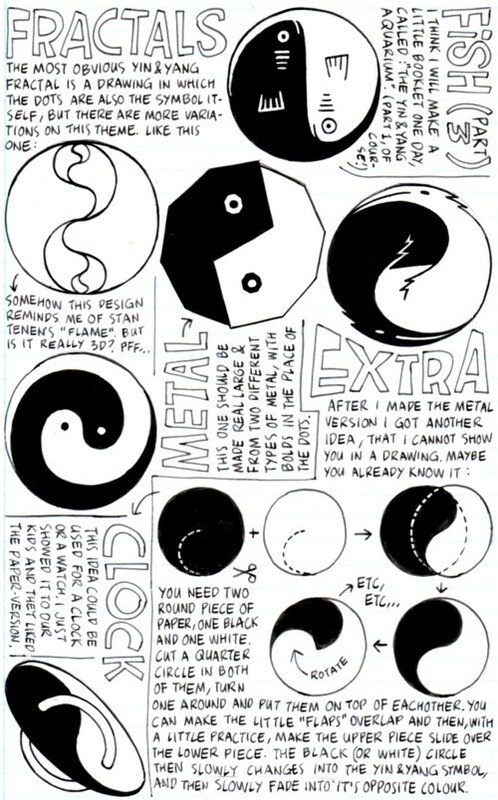 I always wondered about where the symbol came from, and this explanation seems pretty final to me. I was a bit sick for the past days, but not sick enough to stay in bed. 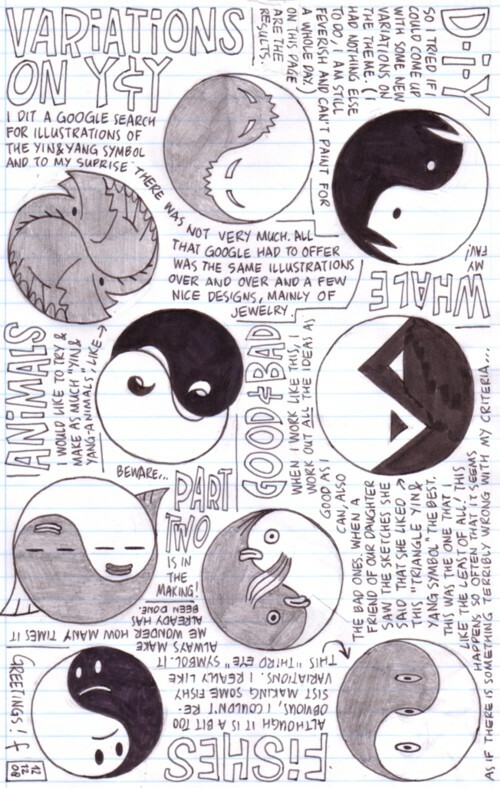 So I started making some drawings inspired on the Yin&Yang symbol and by what John send me. Basically I just use the people that I write to as a source of inspiration. And that works. I still feel a bit uncomfortable about the idea that I do it all for myself. I mean, this is no real correspondence, it is one big ego-trip. You don’t have to feel uncomfortable, you’re just being honest about it. 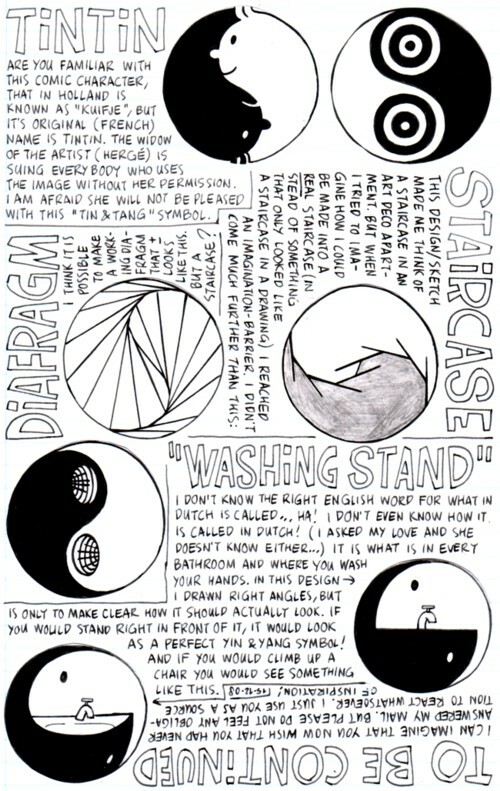 I love the Tin & Tang one.